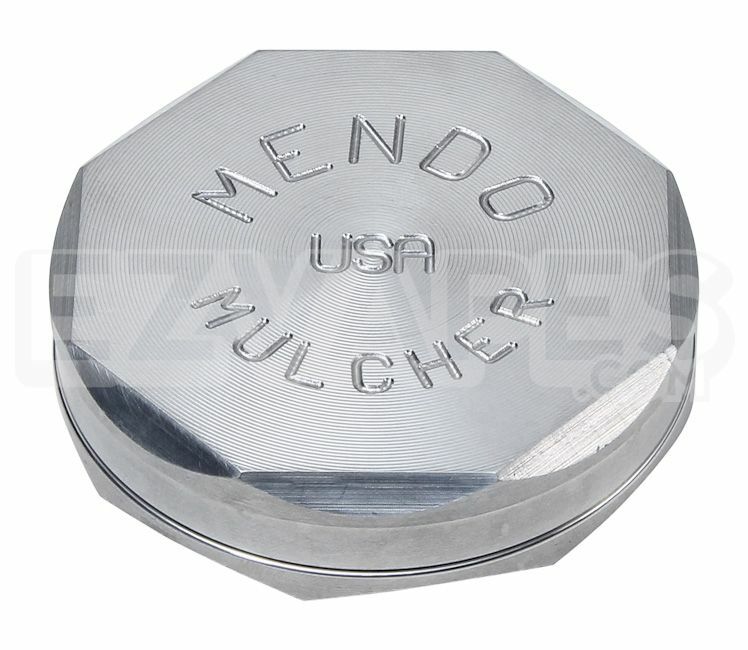 Mendo Mulchers are premium brand grinders that are both affordable, durable and efficient. Mendo Mulchers have a super strong billet aircraft aluminum design with a matt finish that will stop the aluminum from chipping or scratching and also stop finger print smudges from dirtying up your grinder. All Mendo Mulchers come with a lifetime warranty, making this grinder your new life partner. The 2 piece has a centered magnet to keep the grinder shut, helping it double as storage. The Mendo Mulcher comes with two times more teeth than the other grinder competition and the teeth are curved, stopping the grinder from sticking when you grind your material. The 75mm 2-piece is about 3" making it a great size to get some serious grinding done at home.